With so many choices in photography equipment on the market, it can be incredibly confusing deciding what purchases to make. Below is information and links to the gear I use and recommend. These links are amazon affiliate links, so at no cost to you I do receive a commission if you decide to make your purchase through them. Thank you in advance if you do choose to do this. If you already own several lenses and are looking to upgrade your camera, then you don’t need to purchase a kit, you can purchase the body. The cameras below are listed as kits, but you can purchase the body only through the same link. I have had very few regrets in buying and selling gear, but selling my Canon 24-70mm is one of those regrets. If you are looking for your first serious lens investment and need one that will shoot a wide variety of subjects, this is great for food, people, travel, and more! This is a great place to start if you are looking to make your first lens purchase. Purchasing a lens with the ability to shoot at f/1.8 or f/1.4 will open up a whole new world in low light shooting and experimenting with a shallow depth of field. I decided the extra money was worth it and went with the f/1.4. This is great for large overhead food shots, landscapes, interiors, or very large subjects. Using these lenses on a full frame camera will best take advantage of their wide focal length. If you shoot food, products, weddings, or any other discipline that requires the ability to have close shots of details, macro is the way to go! A tilt shift lens will give you the ability to move your focal plane and achieve shots that are impossible to get from a stationary lens. Continuous lighting allows you to see what you are doing while shooting. If you move the light, your subject, or camera angle, you can instantly see how those changes will impact your final image. The Lowel Tota is an incredibly powerful light source for those who are looking for a continuous light source to shoot at night with. If you are planning on shooting video, as well as stills, a continuous light source will allow you to do so. Keep in mind that you will need to purchase a bulb and stand for the Tota. Also, you will need to modify the light by shining it through a diffusion panel (see below). Just a warning. The Tota is a very powerful light that will also get pretty hot, so be careful when using it and don’t leave it on unattended. I shoot about 95% of all my food photography using artificial light. 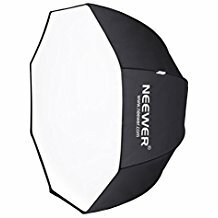 My go to light source is a small battery powered flash and the Neewer 47″ Octagonal Softbox as the modifier. Recently, I discovered the Yonguno flash and it is awesome! Plenty of power and a fraction of the price of a Canon or Nikon Speedlite. You will need wireless trigger to allow them to communicate with your camera. 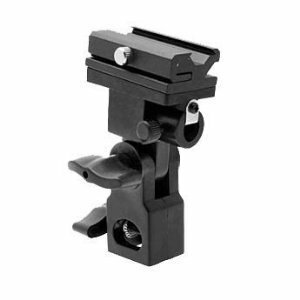 You will also need a light stand and flash bracket to support the softbox and flash. Shooting outside and need to control the sun? Here is a wide range of diffuser and reflectors that will help get the job done! There are many different tripod options out there, but this is the set-up that I use. I would rather save money by using aluminum over carbon fiber for the legs and then spend a little extra on a high quality and sturdy tripod head. This will allow you to take an image away from behind the camera. It is a necessity for creating composites where you have to preform an action and take the picture at the same time.